Workshop Proposal Deadline Extended to March 15! Several supporting documents and resources have been updated and posted under the Endorsement tab to support our membership in their journey toward Endorsement. Additionally, the Resources tab has been updated with lots of links to helpful IECMH related information! Please email pa-aimh@pa-aimh.org with any questions! 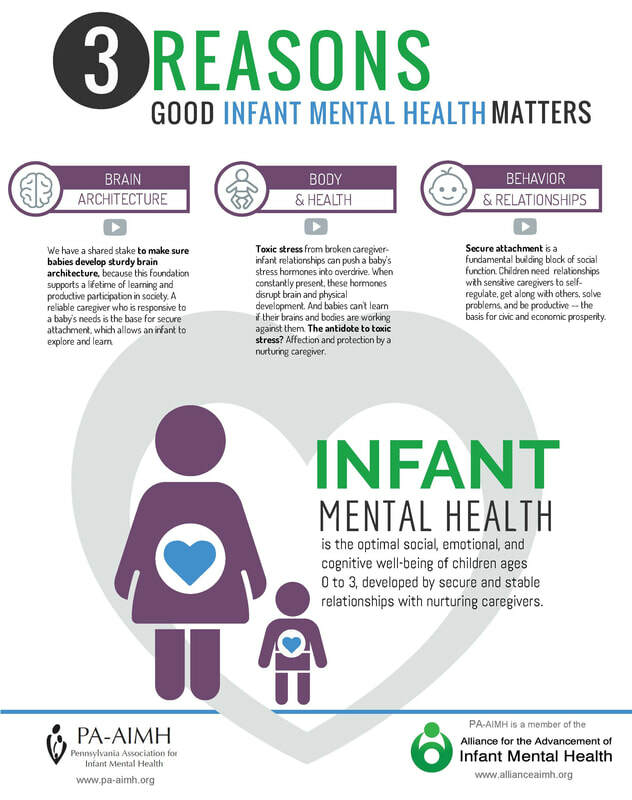 Infant Mental Health (IMH) is an interdisciplinary field of research and practice. 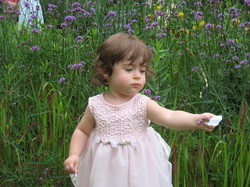 IMH providers serve children and their families from conception through 5-years of age. The goal of IMH is to promote the healthy social-emotional development of all children and their families. IMH also strives to prevent social-emotional and health problems in children and families at risk. Finally, IMH providers intervene when social-emotional development goes awry. 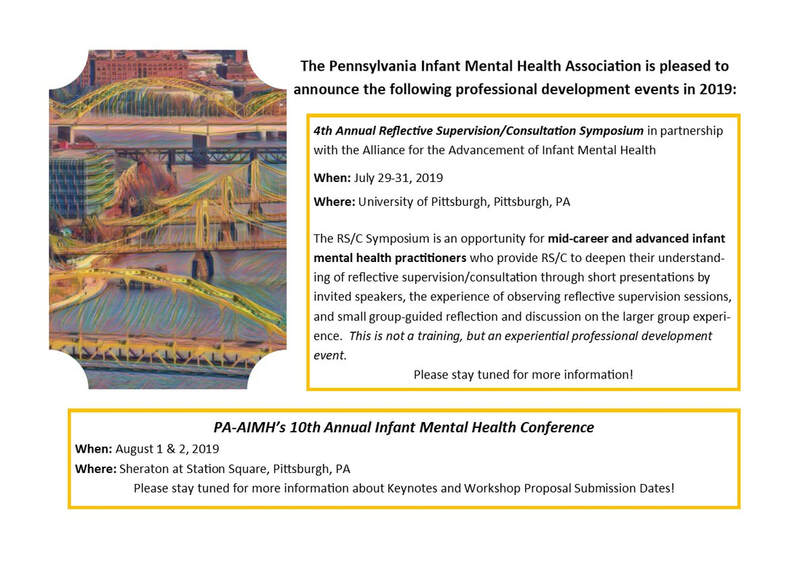 The PA-AIMH supports traditional IMH persepctives consistent with the work of Selma Fraiberg, as well as other approaches that serve to promote the mental health of infants and families through enhanced infant-caregiver relationships. PA-AIMH is a non-profit organization built and run by an interdisciplinary group of concerned early childhood providers from across Pennsylvania. The goals of the association include supporting and developing a workforce optimally prepared to serve infants and their families with the most current evidence-based and evidence-informed approaches available. PA-AIMH also will serve to support IMH providers across Pennsylvania through opportunities for training, support, and Reflective Practice. We also will work to support families and give a voice to babies in the development of policy and practices within Pennsylvania. Join the PA-AIMH Mailing List to Receive Announcements etc. Please note that this is a general mailing list - If you wish to be apart of the Listserve or receive specific mailing information from PA-AIMH you must join our membership... if you have any specific questions, do not hesitate to contact us, pa-aimh@pa-aimh.org.